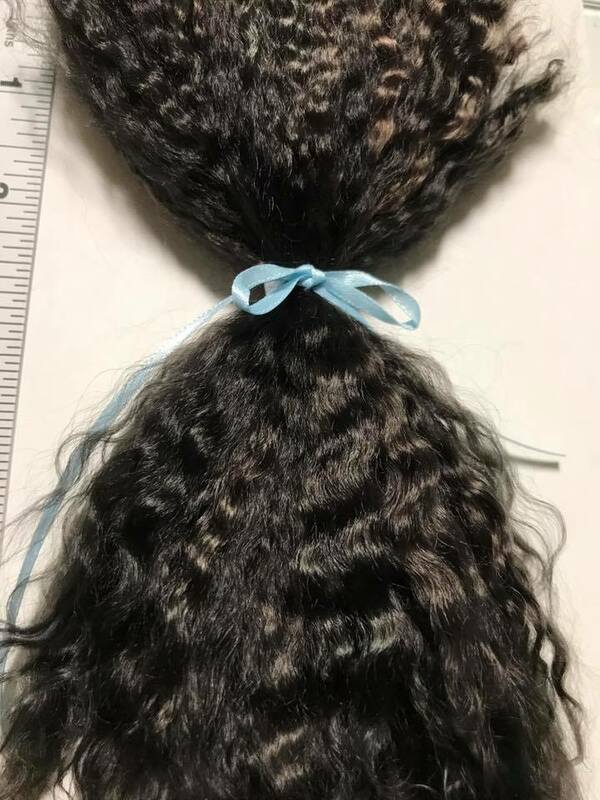 This shop was born of a desire to help others find the perfect hair for their art doll creations and to showcase the work of amazing doll artists from around the world. Please come back often, as our stock is limited to handmade items which rotate frequently. Follow us on Facebook to get an inside look at the studio, receive info on promotions and contests, and snag occasional coupon codes. Kirsten Bjore Guerrero is the woman behind Golden Fleece Mohair. She is a professional artist and public high school art teacher, and she finds joy in helping others realize their potential in art. Kirsten was born and raised in a small town in Alaska, but her adventurous spirit has pulled her across the country. She now calls San Antonio, Texas her home. She and her partner have two beautiful children, and they believe in living each day with beauty and love. Kirsten holds an Associate of Arts from the University of Alaska in Palmer, AK, a Bachelor of Fine Arts from the College of Visual Arts in St. Paul, MN, and a Master of Education in Special Education from Our Lady of the Lake University in San Antonio, TX. While searching for her daughter's first doll, Kirsten came across Reborns. These lifelike dolls were intriguing...and expensive! She decided to try her hand at making one herself, and she was soon immersed in the incredible world of doll making. Eager to explore every facet of the art, and understanding just how intensive the rooting process is, Kirsten set out to find the absolute best materials to work with. She explored farms across the country and sampled over 40 animals in order to find the perfect "golden fleece." She continues to collaborate with farmers and other small business owners in order to bring you the ultimate in beauty and quality. All art and gifts are handmade with love and care. While premium quality mohair is the main focus of this business, Kirsten can't help but create other things. Some of us just have it in our blood! If you're here...you can probably relate. Please visit our Art & Gifts section for one-of-a-kind treasures. Find something for the person who has everything, or treat yourself! Doll hair and art inventory are original and revolving, so check back often for that perfect batch of mohair or unique gift.